The Office of International Students and Scholars (OISS) will host the 42nd Annual Global Festival celebrating cultural diversity on campus. More than 35 student groups and organizations, organized by continent and representing various countries and cultures, are scheduled to participate. Each year the festival attracts nearly 4,000 participants. The event is free and open to the public and includes live music, dance performances, an assortment of ethnic foods for sale and giveaways. Wednesday, Sept. 19, 10:30 a.m.-2:30 p.m.
Gullen Mall on the university’s main campus in Detroit. Wayne State University is home to nearly 3,000 international students and visiting scholars from 100 countries. The Office of International Students and Scholars was established to aid these individuals in their educational and scholarly pursuits at the university. 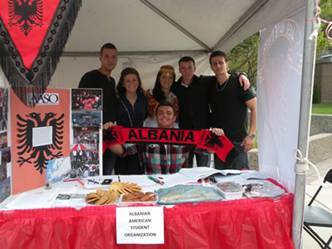 For more information about the Global Festival, contact the OISS at 313-577-3422 or visit www.oiss.wayne.edu.